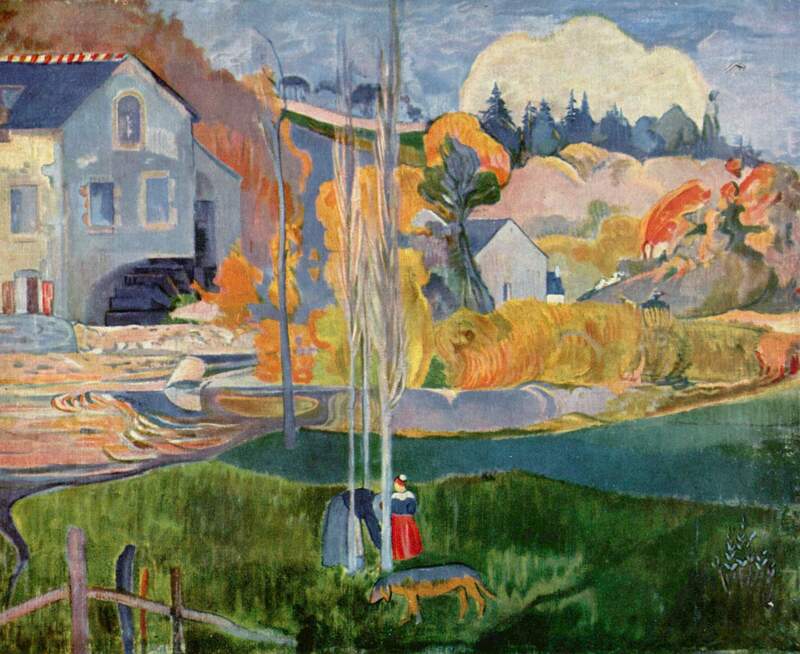 France has been the place of inspiration for many of the world’s artists. 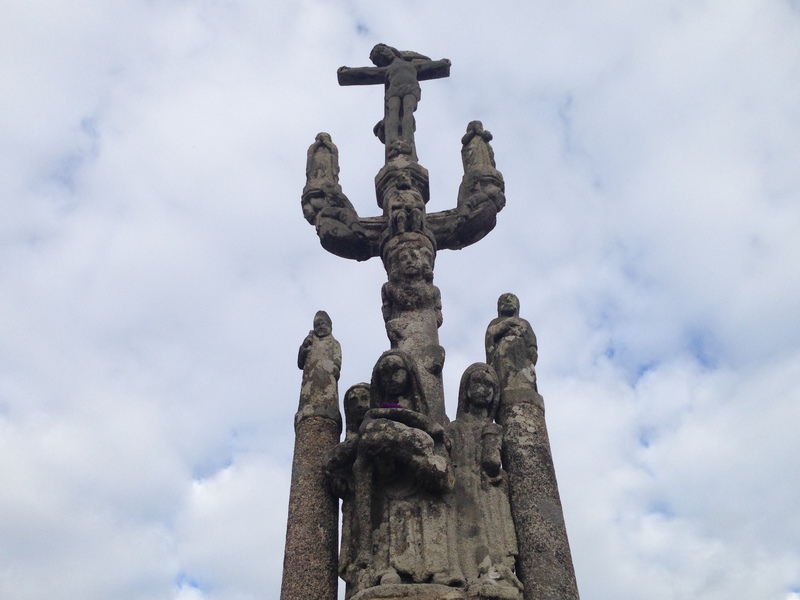 The west of the country, Brittany, has stunning landscapes, cozy little towns and tons of cultural heritage. 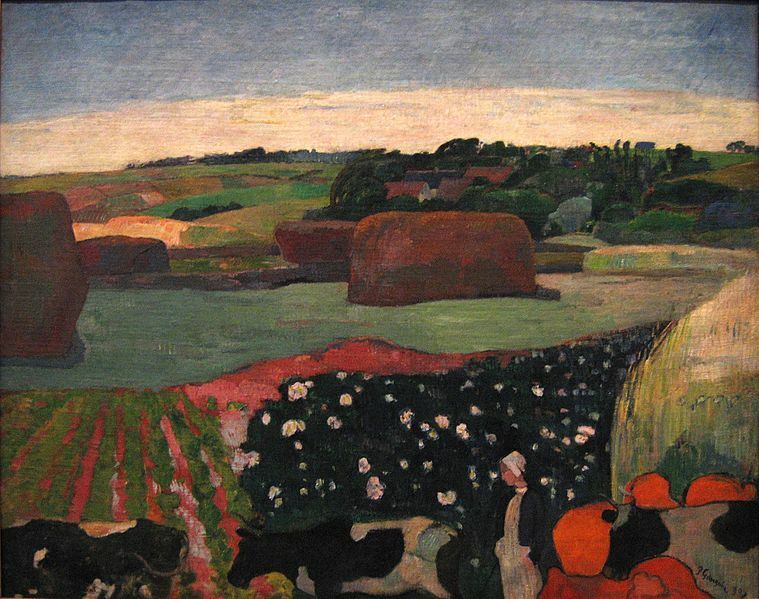 Combine these aspects together and you get Paul Gauguin’s perspective on the far west of France. 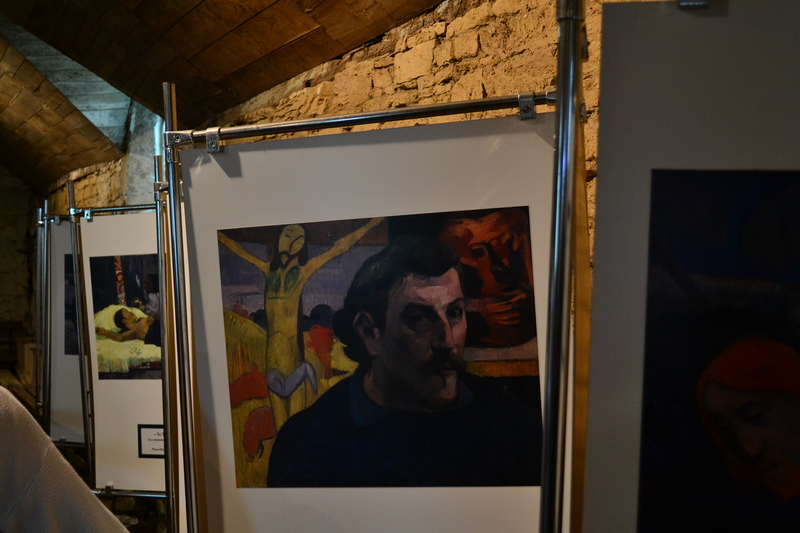 This trip takes us in the footsteps of the artist, discovering what changed over the years. 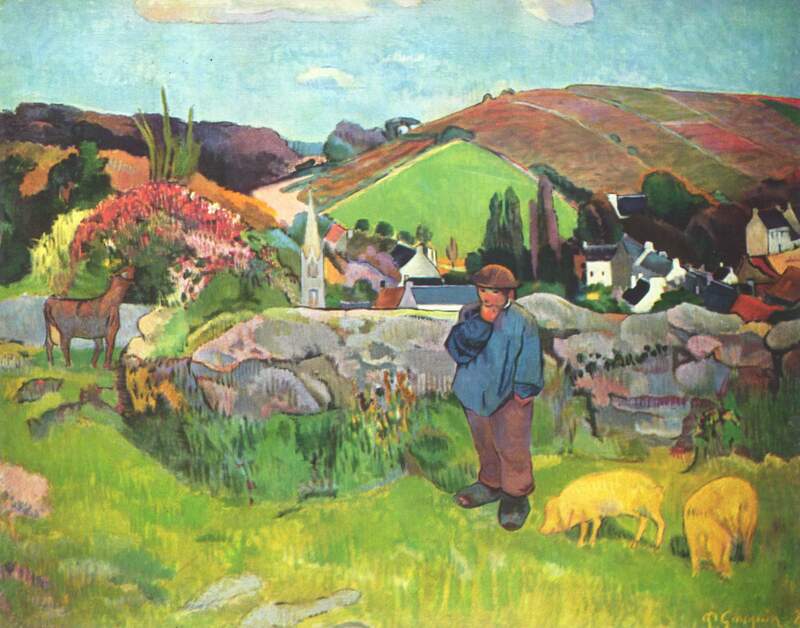 Paul Gauguin, Post-Impressionist artist who became well-known after his death, spent some time of his life in the western-most region of France: Brittany. 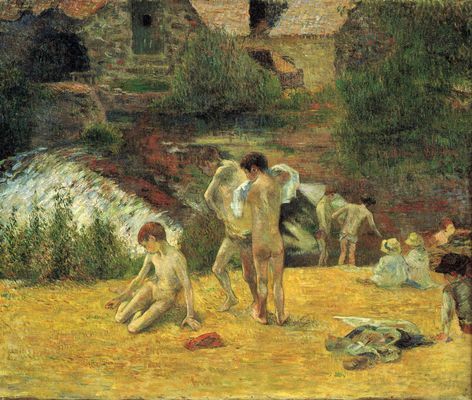 To be even more precise, he discovered a small town, Pont-Aven, through his fellow artists, such as Pissarro and Jobbé Duval. 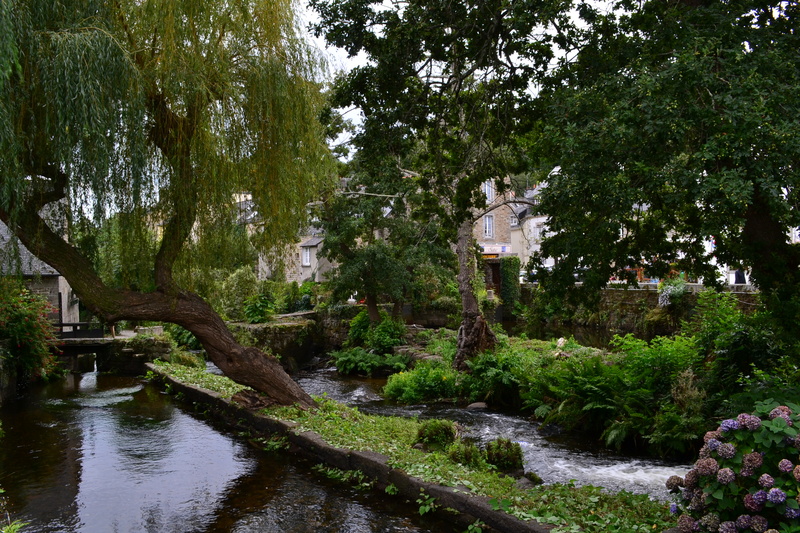 Described as a town of “14 moulins, 15 maisons” (14 mills, 15 houses) as a parody of how small it was, Pont-Aven took a special place in his soul, and he returned here over the years. 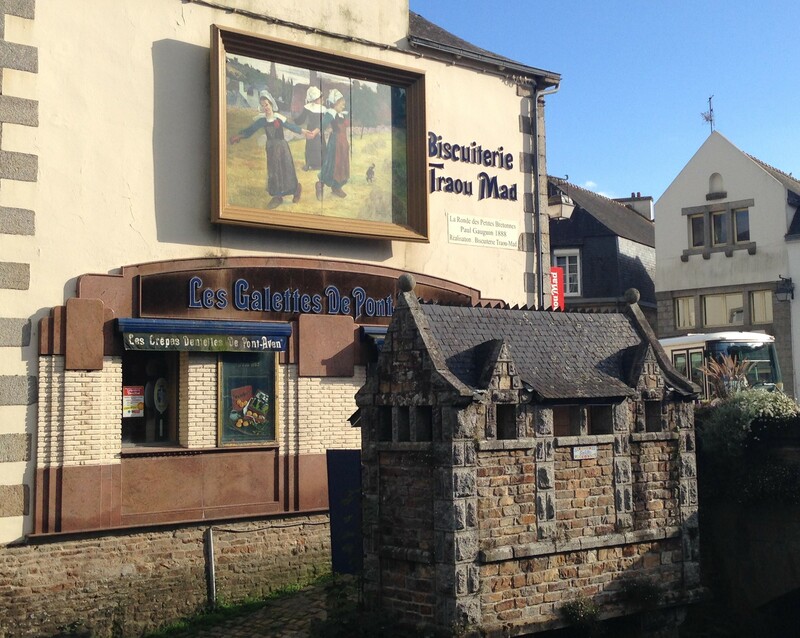 The heritage left by Gauguin can be seen today, being one of the only cities in Brittany where art galleries can be found at each step. 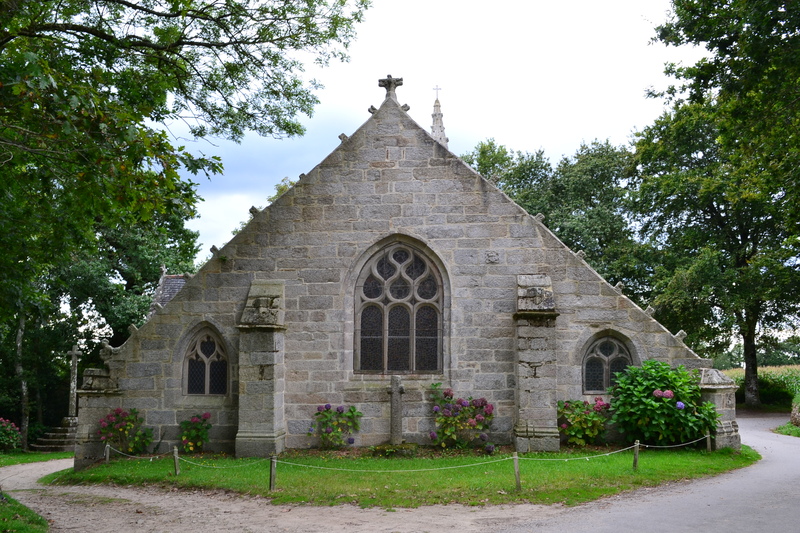 His views of Brittany show a colorful every day life of bretons, from fishing to bathing in the river and going to church. 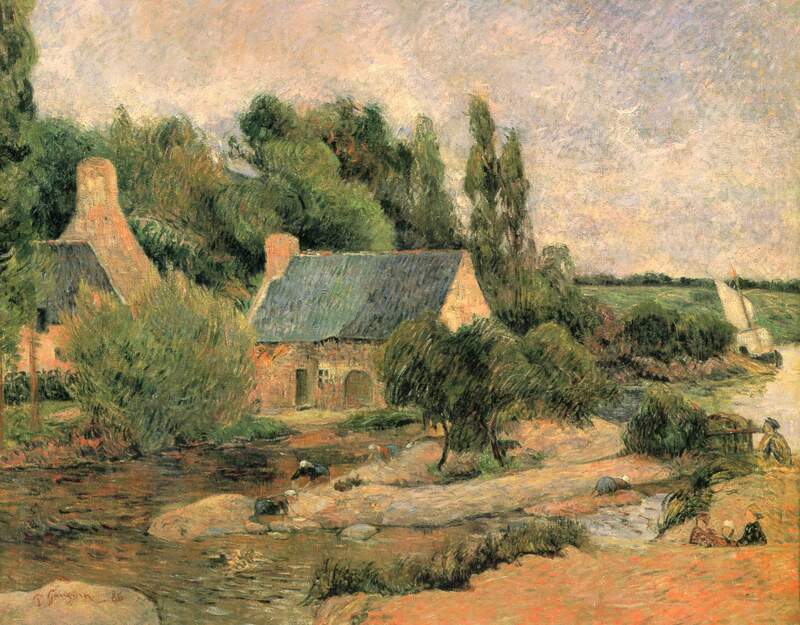 What changed between 1886, time of Gauguin’s first paintings capturing Bretagne, and now? The Les Lavandières painting, which can be seen at the Musée d’Orsay in Paris, captures the life of the city in 1886. The mysterious river that passes through the city has been the focus of most of the artists who lived in the town, and it can be seen at each step you take. 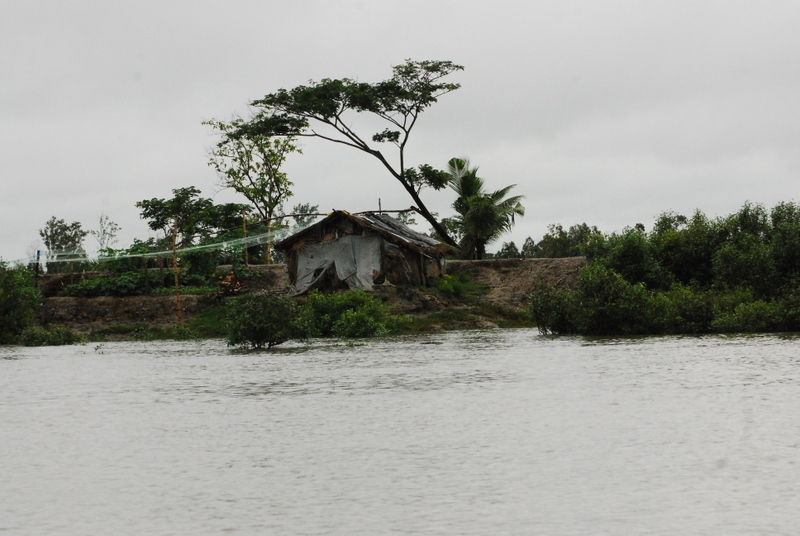 The name Bois d’Amour given to the path that goes along the river is a symbol of the town’s history with art and the close relationship it has with nature. 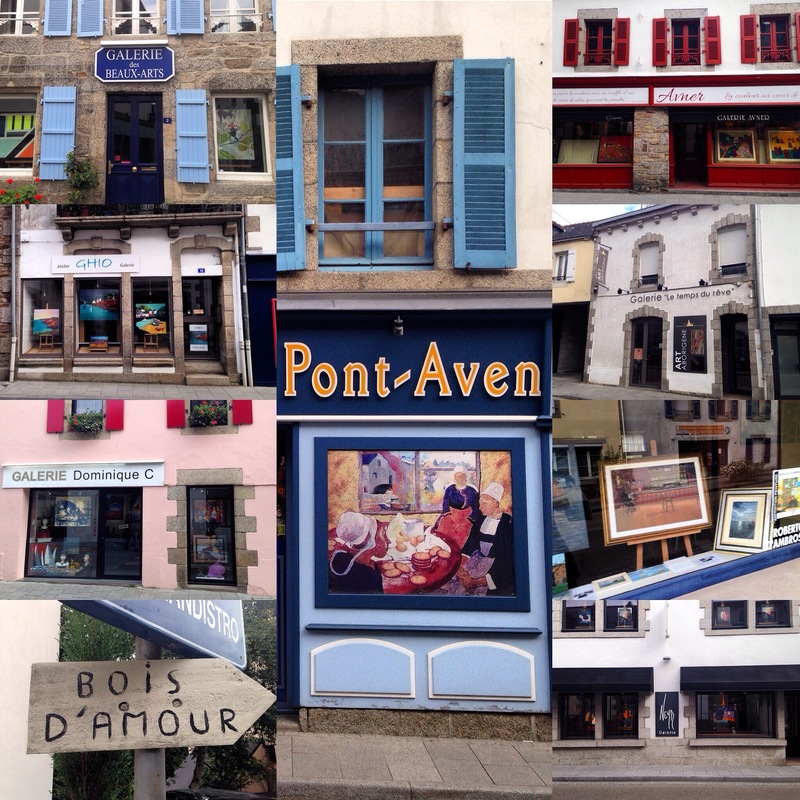 The city’s moulins have been captured in a lot of paintings, giving a clear image of the architecture and life of the 1880s. Moving on from the center and into the forest, the mystical river that runs through the town was back in the day the place to be for the bretons. 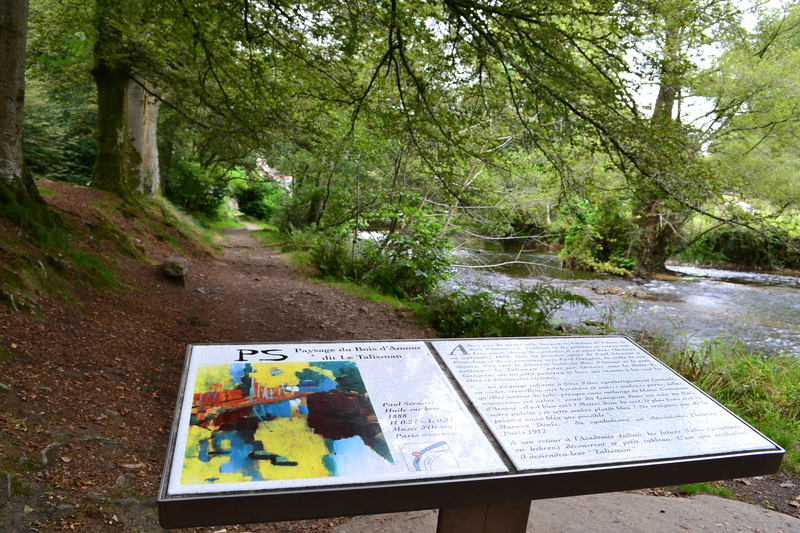 To discover more of Gauguin’s story in Pont-Aven, the official website of the town has lots of information and walking tour guides that can be found right here.